Charlene A. Carruthers is a Black, queer feminist community organizer and writer with over 10 years of experience in racial justice, feminist and youth leadership development movement work. She currently serves as the national director of the Black Youth Project 100 (BYP100), an activist member-led organization of Black 18-35 year olds dedicated to creating justice and freedom for all Black people. Her passion for developing young leaders to build capacity within marginalized communities has led her to work on immigrant rights, economic justice and civil rights campaigns nationwide. She has led grassroots and digital strategy campaigns for national organizations including the Center for Community Change, the Women's Media Center, ColorOfChange.org and National People's Action, as well as being a member of a historic delegation of young activists in Palestine in 2015 to build solidarity between Black and Palestinian liberation movements. Charlene is the winner of the "New Organizing Institute 2015 Organizer of the Year Award" and has served as a featured speaker at various institutions including Wellesley College, Northwestern University and her alma mater Illinois Wesleyan University. Charlene also received a Master of Social Work at Washington University in St. Louis. 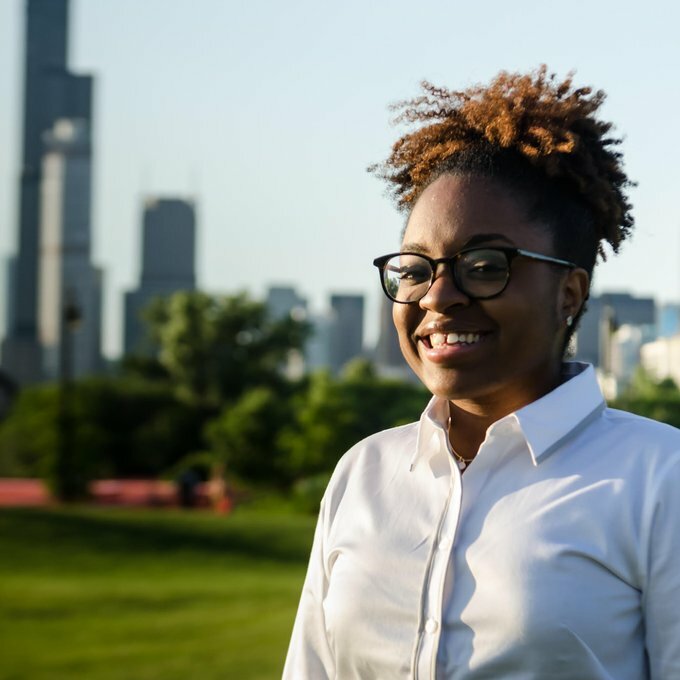 Charlene was born and raised on the South Side of Chicago where she currently resides and continues to lead and partake in social justice movements. Her inspirations include a range of Black women, including Ella Baker, Cathy Cohen, and Barbara Ransby. In her free time, Charlene loves to cook and believes the best way to learn about people is through their food.